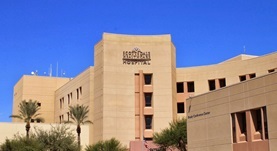 Dr. Bruce Dean is a radiology specialist in Phoenix, Arizona. He is affiliated with multiple hospitals in the area, among which St. Joseph's Hospital and Medical Center. He finished his medical school at Indiana University School of Medicine. Furthermore, he completed his internship and his residency program in Radiology at Tripler Army Medical Center. 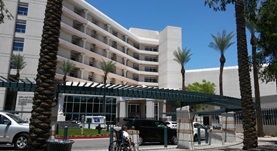 Dr. Bruce Dean also underwent a fellowship in Neuroradiology at Barrow Neurological Institute. He is certified in Diagnostic Radiology and Neuroradiology and has an experience of more than 20 years. Dr. Bruce Dean has contributed to 3 publications. Kalb, S.,Fakhran, S.,Dean, B.,Ross, J.,Porter, R. W.,Kakarla, U. K.,Ruggieri, P.,Theodore, N.; World Neurosurg. 2012 Dec 23.